I've been saving this prompt for some time. But if I leave it too long, the trend will be gone and it will be too late! I'd like to challenge you to use a very on-trend motif. It's pink and can be found in home decor as well as scrapbook products these days! Can you guess? This week, I'd like you to be inspired by flamingos. I've been collecting some flamingo items over the last few months from Scrapabilly but either I've been reluctant to use it up because it's all so adorable, or I don't really know how to incorporate flamingos into my everyday layouts! 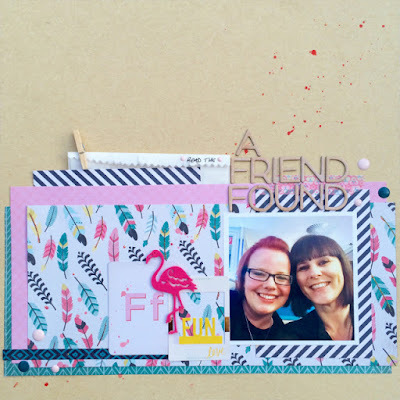 I've never been anywhere with flamingos for example, nor do I have any particular affinity with them - outside the scrapbook stash I'm hoarding keeping for that special layout. So I'll be stretching my creative muscles with this prompt alongside all of you! It would appear that I have far more flamingo supplies than any single scrapper should have! 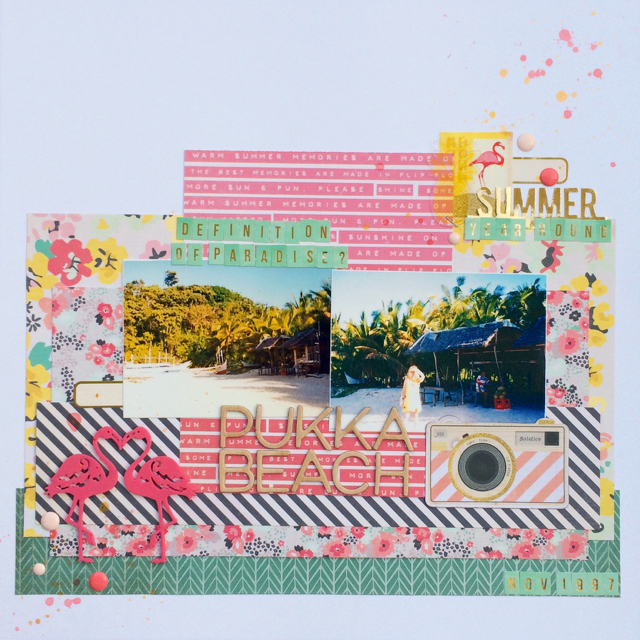 I did manage to use a few foam flamingos and she small elements last year on two Scrapabilly layouts but I had to stretch why I was using them in my mind! 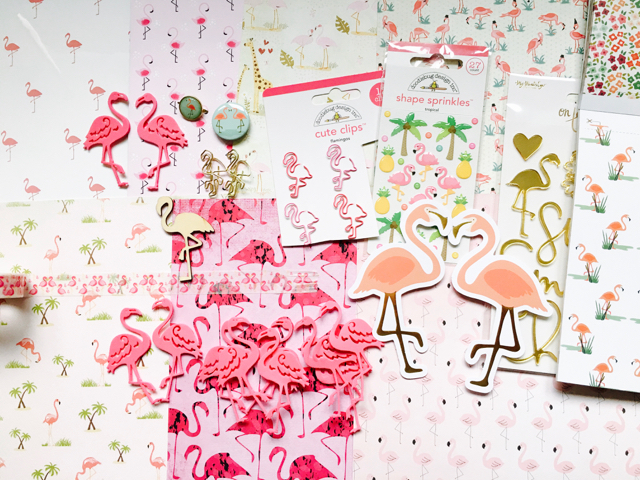 So, how will you find a way to bring flamingos to your scrapping this week? I can't wait to be inspired by you! You can either upload your layout into the Whimsical Musings Flickr gallery with the tag WM#231 or you can post it in our Whimsical Musings Facebook group. We've decided that we'll save albums for special occasions so just load up your photo to the group with the tag WM#231 in the write up text so that we can find it.